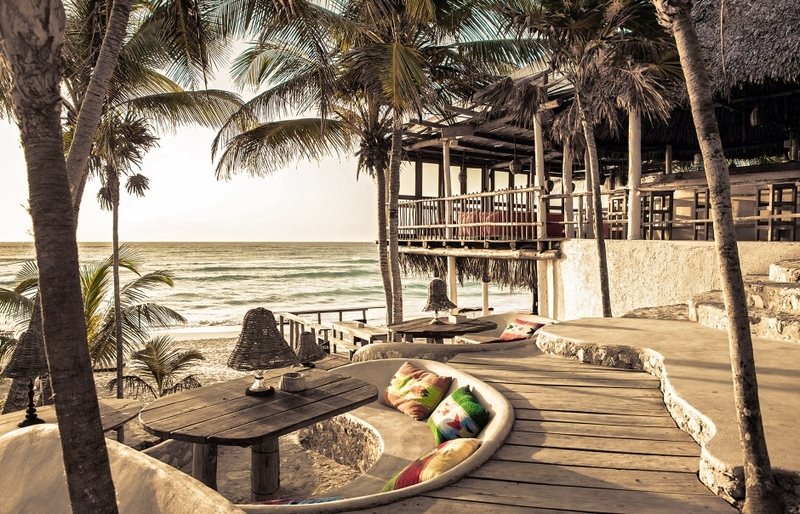 Widely regarded as one of the coolest hotels in Tulum, Papaya Playa Project embodies the concept of a boho-style beach hangout, inviting its guests and visitors to reconnect with their inner free spirit. 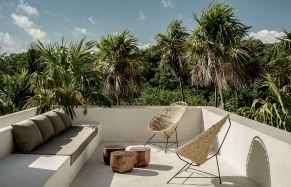 Tapping into the growing popularity of Tulum as the coolest boho beach destination, Papaya Playa Project sprung up first as a pop-up hotel in 2011, to be later remodelled as a luxe playground for the creative crowds by the Design Hotels™ team. Today it is the destination of choice for the international globetrotting crowd. 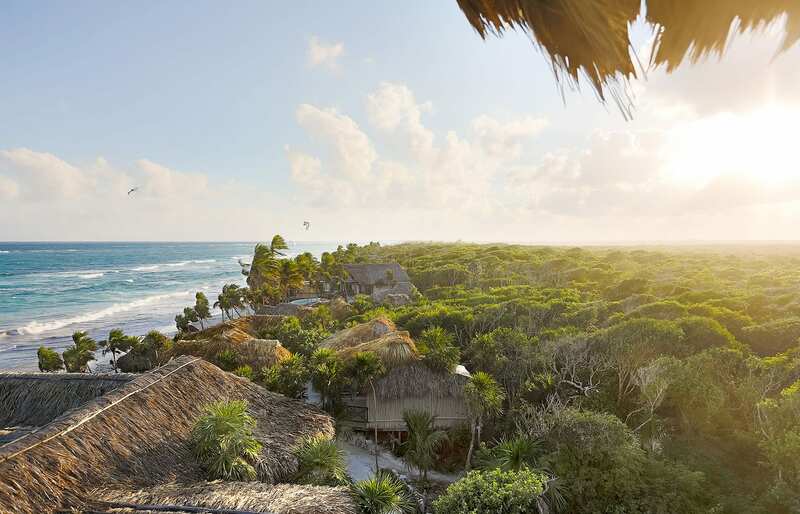 As we discovered during our trip to Yucatan, Tulum is a place somewhat cut out from the rest of Mexico — if only because of the absence of the proper power grid. 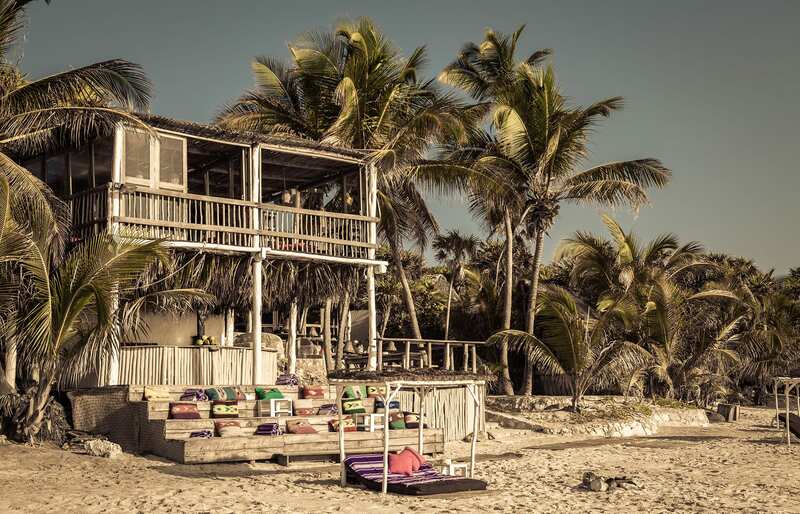 This makes it easy to disconnect from civilisation, and the Papaya Playa Project turns it into an advantage. It’s a Pre-modern living at its best. 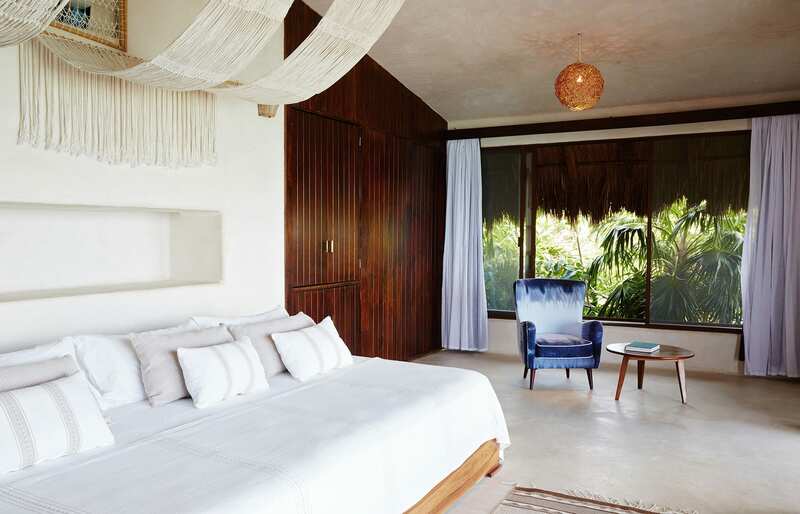 The style of the one hundred cabanas and huts located on a stretch of jungle-fringed coastline places the hotel somewhere between a beachfront commune and a luxe boutique. 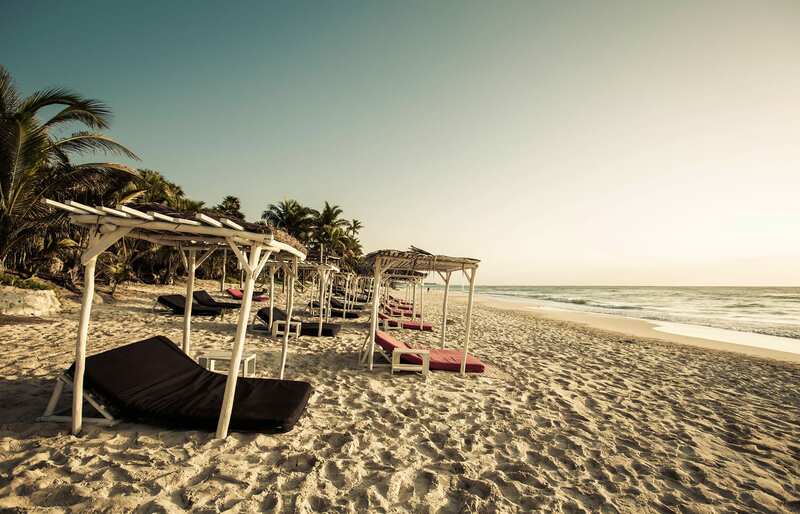 The backpacker roots of the Papaya Playa Project are reflected in the entry-level Cabanas. They are closer to the roughing-it-up experience than the rest of the hotel. Many of them with bunk beds, they are set back from the beach, and services are kept to an absolute minimum. 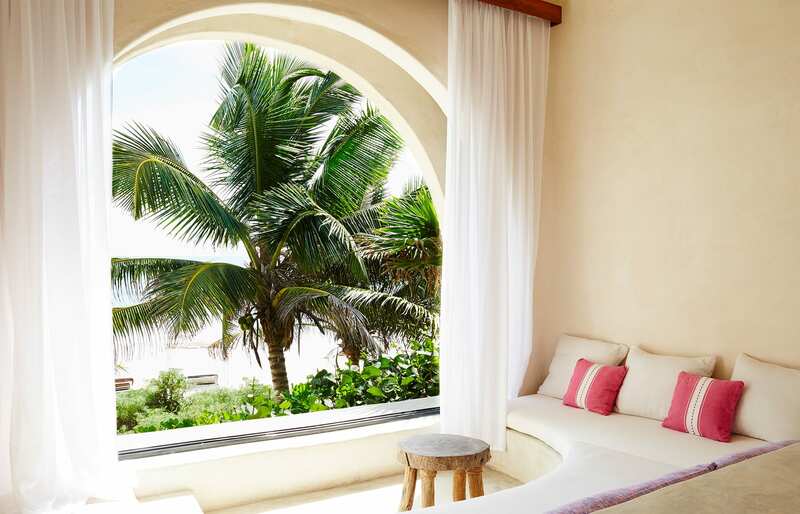 The beachfront Casitas are much more about boutique hotel luxe vibe. 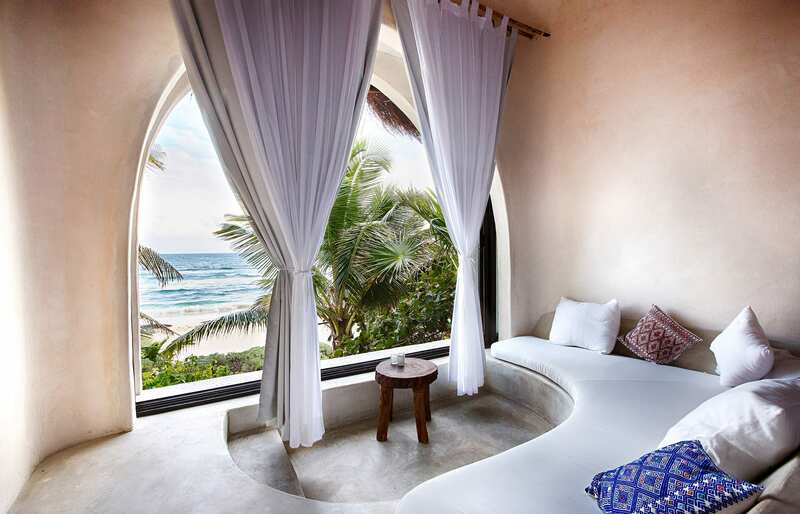 They seduce with cute design, private plunge pools and terraces that offer dramatic views of the ocean. They are exactly what the jet setters of the world would expect. But the real wow factor can be found in the newest Casas. They merge luxury with an easygoing beachfront chic. 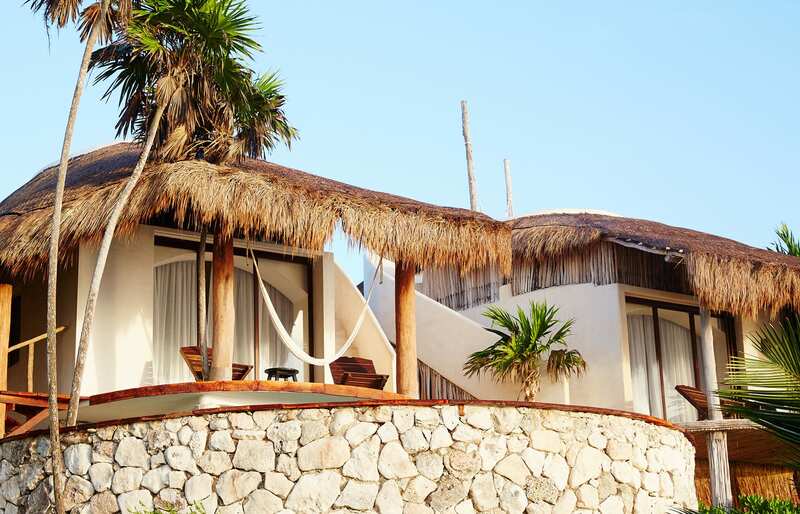 Casa Palapa has a two-bedroom suite and a double room, topped by a grand suite and comes with a lounge with a Jacuzzi, a vast sun terrace, a fully equipped kitchen, and a generous 20-person dining table. 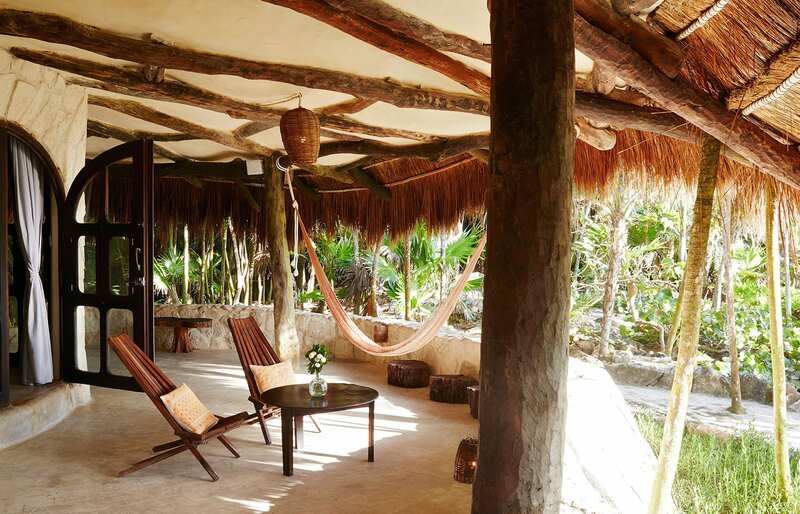 At the top of the accommodation options is the 250-square-meter Casa Madera, a real stunner described as a “the epitome of primitive sophistication”. It comes with a butler service. 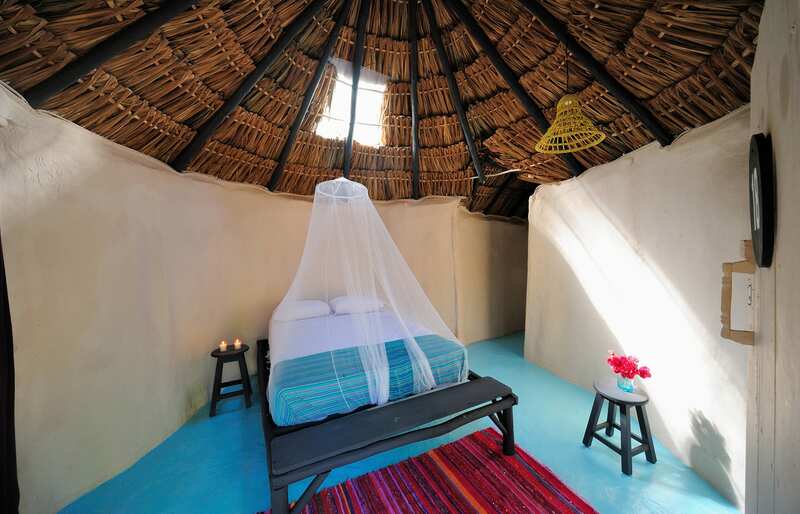 We stayed in two different Casitas and were perfectly happy with the cosy set up that seemed to be tailored for us two. Especially as they were positioned only steps away from the beach, where we had our own gazebo, reserved for exclusive use. 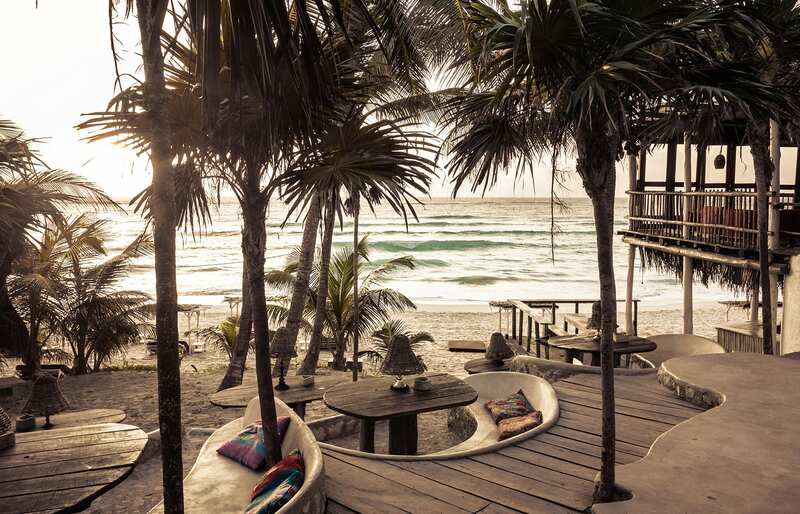 Of course, we were just as keen to hang out at the Papaya Playa’s Restaurant and Beach Club. It’s the social heart of the Project, serving healthy food in a chillout ambience. Come evening — and especially certain nights of the month — and the club turns into the hottest go-to for partygoers. It’s great fun. Often described as an authentic eco-friendly resort — as opposed to a more classical luxury — the Papaya meets high-end standards in many ways, but it is equally well placed to cater to a less demanding clientele. And even if this place might not pamper your body as much as a five-star property would, you may discover it is well set up to purify the spirit. 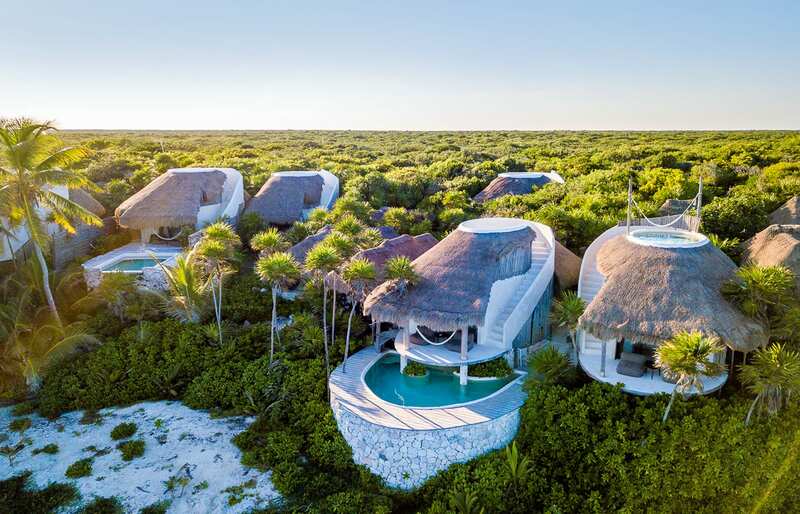 Developed by the Design Hotels Group into a hip destination hotel, the Papaya Playa Project is here to help you decompress, disconnect — and get as close to the real Tulum as possible. 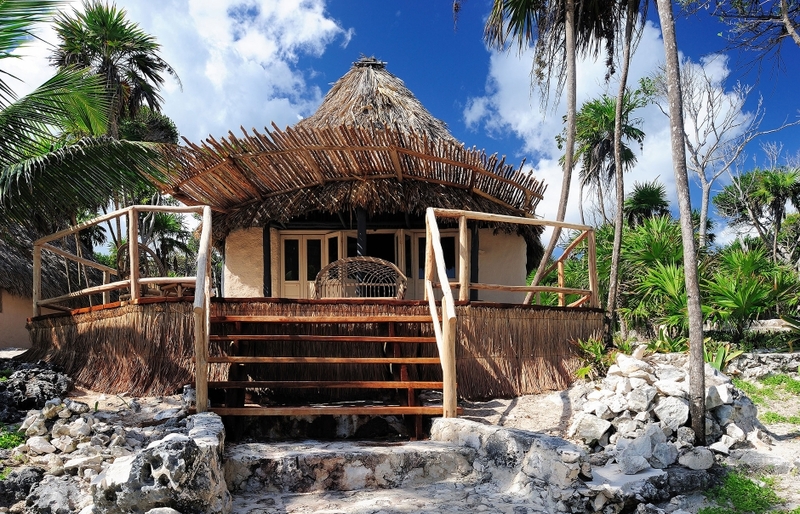 Great location in Tulum. The hotel is conveniently positioned for easy access to the town and various attractions. Make sure to grab the free bikes — they are perfect for discovering the area. Papaya Playa Project is constructed with the beach as the focus point. A long stretch of it is occupied by the hotel and the Casitas are all looking out to the ocean. 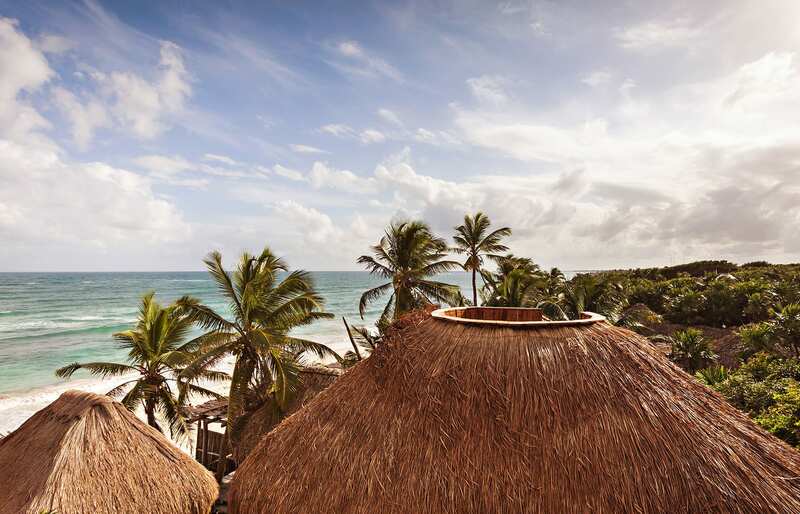 The design of the thatched-roofs beach club is a beautiful example of the Caribbean boho style. The place is Instagram-tastic — by the way, did you see our Instagram coverage? Our deck, overlooking the beach, was the perfect place to lounge — and the rooftop plunge pool was our favourite the spot for a cocktail on a hot day, or at the sunset time. 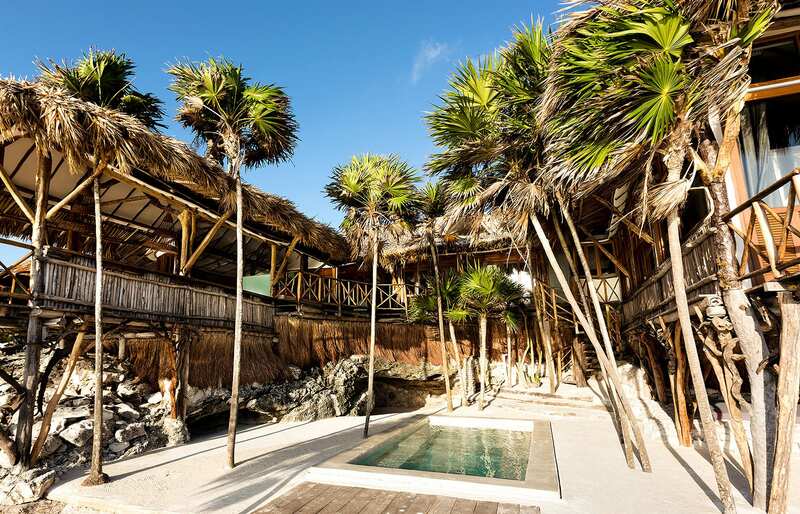 Each casita has its own exclusive beach palapa, reserved solely for the casita guest use. No fighting for a spot on the beach here. The hotel grounds are peppered with cosy spots that offer opportunities to lounge, on hammocks and under gazebos. The absence of electrical outlets: yes, we did welcome it. Sometimes you do need a reminder to truly unplug. The property is unique in that it offers something to suit every budget. 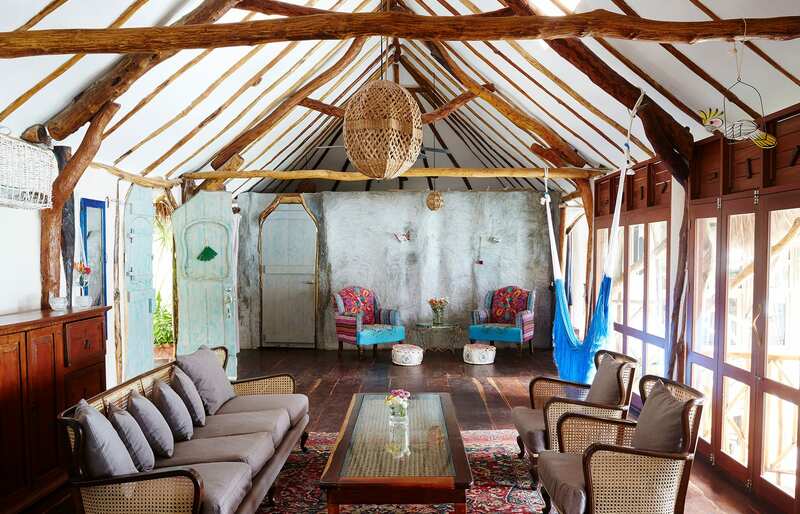 Starting from the no-frills rustic Cabañas, it also offers beachfront Casitas equipped with terraces and roof decks. 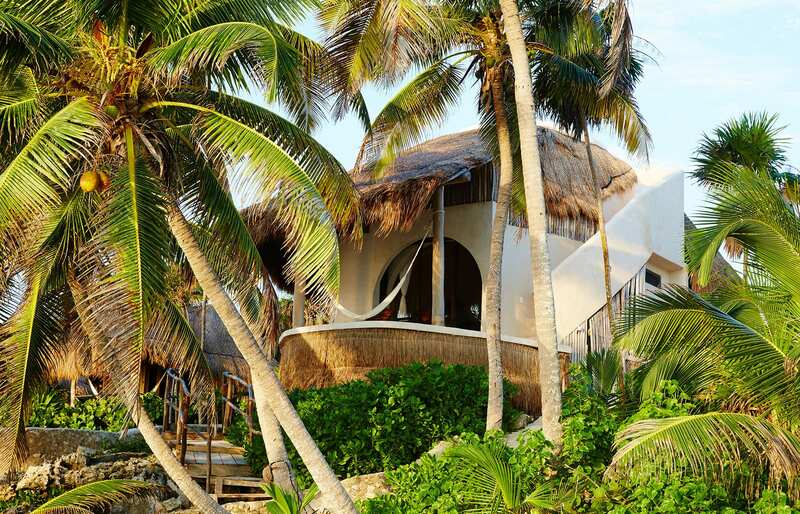 And if you feel like splurging on something really luxury-centred, then go for the stylish beach houses Casa Palapa and Casa Madera. 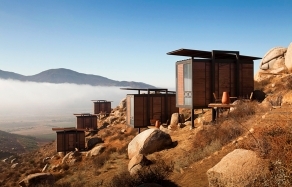 The best-looking accommodation option is undoubtedly the new Treehouse, elevated high to the level of tree canopies. The five-room house wows with beautiful organic shapes of its sustainable architecture. Papaya Playa Project hosts a monthly Full Moon party (it takes place on the night of the full moon, needless to say) and noise from the party can be heard in the rooms until very late into the night. Guests looking for a quiet night’s rest, or those travelling with kids, should choose other dates or alternate accommodations. There are also weekend parties, so keep that in mind as well. But it's just about the right planning. If parties are not your thing just make sure you stay here on the weekdays and you feel totally relaxed. Maybe we were just unlucky with the timing but the beach all along the property was not at all clean, due to massive amounts of sargassum seaweed brought by the high tide. Free WiFi is available at the front desk and at the restaurant, though it’s a bit spotty. But "glued to your smartphone" is not exactly the vibe they’re going for here. The hotel has a spa, staffed by a "resident shaman". It’s the site of the regular morning yoga class as well. 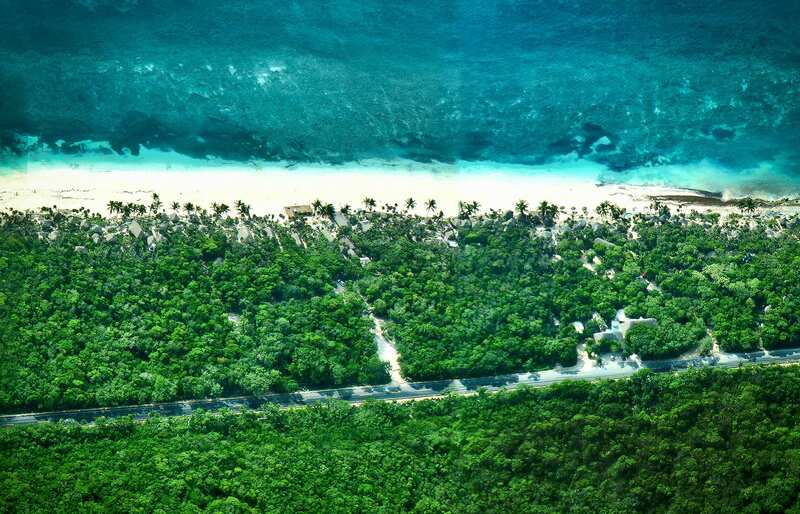 How to get there: Papaya Playa is located 75 miles from Cancun Airport (CUN). The drive takes about an hour and 40 minutes.